EDWIN J. ELLIS JR BOARDMAN – There will be a celebration of life service held at 11 a.m. on Saturday, April 9, at the Westminster Presbyterian Church, 119 Stadium Drive in Boardman for Edwin J. Ellis Jr., 75, who died Saturday afternoon at Hospice House of Poland. Edwin was born March 10, 1941, in Youngstown, a son of the late Edwin J. and Isabelle Gordon Ellis Sr., and was a lifelong area resident. 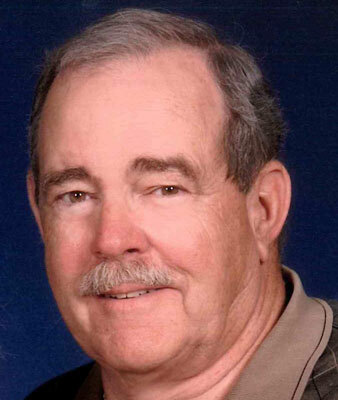 He graduated from Chaney High School in 1959, and served in the U.S. Navy. Edwin graduated from Youngstown State University in 1970, with a B.S. in Business Administration and was a member of the Alpha Kappa Psi honorary fraternity. Edwin had been a cost accountant for various companies having retired in 2004. He had also been a photographer for Lee Studio. He was a member of the Westminster Presbyterian Church and a former member of the Christ Church Presbyterian. He was a member of the Argus Lodge No. 545 F.&A.M., the Ancient Accepted Scottish Rite-Valley of Youngstown, the Canfield Lions Club and a former member of the Youngstown Ski Club. Edwin had been a scuba diving instructor and loved to travel, especially to his second home in Harlingen, Texas. He enjoyed fishing and woodworking, making beautiful bowls and pens. He leaves his wife, the former Linda Norling, whom he married Aug. 3, 1963; two sons, Marc J. Ellis of Boardman and Scott A. (Hillary) Ellis of Lakewood, Colo.; a sister, Sandra Ellis of Youngstown; two brothers, Donald G. Ellis of Austintown and Robert P. Ellis of Stroudsburg, Pa.; and many nieces, nephews, great-nieces and great-nephews. Friends may call on Saturday at the church for one hour prior to the service. The family would like to thank Dr. Garg and the staff at the Blood and Cancer Center of Youngstown and also the staff at Hospice House for their exceptional care. Friends and family may visit www.lanefuneralhomes.com to view this obituary and give their condolences. Please share your memories of Sheila.